PUMA fired a shot across the bow of the sneaker industry in the ‘90s with a whole new way to lace a sneaker, and it was done entirely without laces. Until then there was just Velcro, straps, and really nothing else. But, the PUMA Disc, with its revolutionary closure system, added a whole new way to think about how we put on our shoes. The Disc is a prime example of PUMA’s commitment to a new way of thinking about not only the way we lace our sneakers, but also what industry standards dictate lacing should look like. This year PUMA has done it again with the Tsugi Shinsei, and it’s just the beginning of something huge. While most sneaker designs of the last decade have been about knit and color, the Tsugi is almost entirely about shape. The upper has a neutral base, and it highlights what the shoe is all about: Its lacing system. Instead of a single channel over the tongue for laces to crisscross from tongue to toe, the Tsugi features opposing pairs of structural loops, which allow the laces to lock down the tongue to the sides of the sneakers and come together at the top into a bow. The technology isn’t new but the application is. 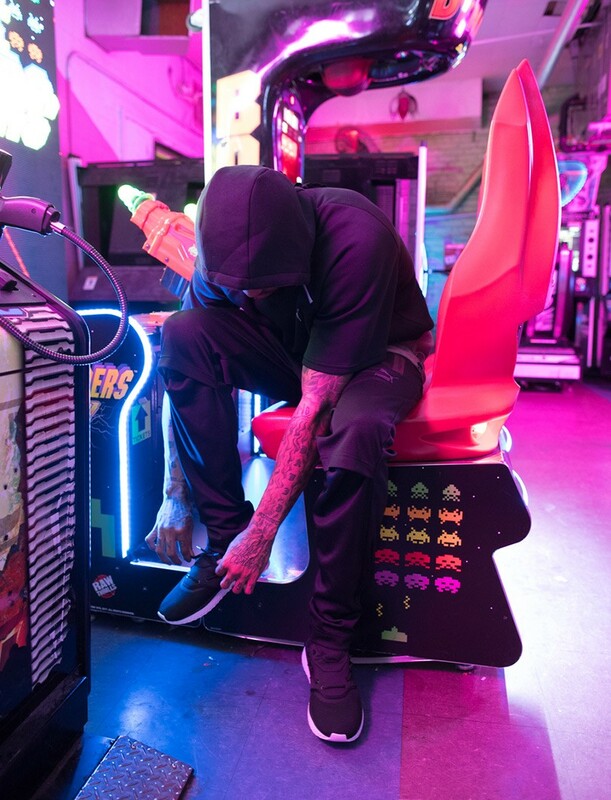 “It plays a big part with taking it back to a lot of older basketball shoes, with the lace mechanism from shoes that came out in the early ‘90s,” says Black Scale co-founder Mega, who was one of the first to get up close and personal with the Tsugi. It makes the shoe feel at once both nostalgic and new. It’s a blend of past and future. The upper sits on PUMA’s IGNITE FOAM with more texture and shape, and some real running chops. IGNITE is the soul of PUMA’s running program, offering flexibility and rebound, elements that every runner needs. Placing that technology under an upper that is practically an indictment of contemporary silhouettes makes for a shoe that straddles the line between technology and style. The Tsugi is, from its design down to its name, what PUMA sees for its future. The teams didn’t stop at Japan for inspiration—they looked everywhere east: L.A., London, and Spanish Harlem, where rapper Dave East is from. “I [have] always loved learning more about other countries and America and the way it’s set up, the way it’s drawn on the map. So I could always differentiate the west from the east. The east always played a major part of my life before I even knew it,” says Dave East, who took the last name because of his association with his New York City neighborhood, also known as East Harlem. He sees the parallels in the shoes from his own experience. “It’s a dope shoe that is edgy and fit. That’s the East Side to me,” he says. As an idea, “East” can reach further, getting technological. “It definitely has a lot of aspects that remind me of the technical functional side and simple side of how Japanese design,” Mega says. It can even be architectural. “[Those cities] certainly share an architectural roughness as well. There is a very pure thing about it. It is sort of the common ground of those locations,”Desens says. He oversaw the development of the Tsugi and understands how PUMA got to the shoe from a unique perspective. His goal was to dismantle what we think a shoe should be, offering something totally different. The Tsugi lands at a unique time in sneaker trends. Some brands have built almost their entire business models on running shoes that double as lifestyle sneakers, while others are playing catch-up after ignoring those trends. But PUMA’s business is stronger than ever (just recently the brand posted a quarter totaling more than $1 billion in sales for the first time in the brand’s history), and it’s not from the success of one or two silhouettes. PUMA is engaged in an across-the-board infusion of creative and social capital that’s paying off. Each season we see more and more unique silhouettes like the Tsugi, taking cues and inspiration from advanced engineering and high-fashion design. Broader access to 3D printing, sneaker customization, and the rising popularity of blending couture brands with fast fashion have resulted in a democratization of style. Popular street style is far more experimental than it’s been in the past, bucking convention in preference for looks that are more expressive. Hip-hop is a style, a mentality. The form carries with it a rich history, and every chapter has its heroes and villains, its tragedies and climaxes, and its set of rules. When we think of prototypical, historical hip-hop style, there are certain brands and silhouettes that immediately come to mind. And even though PUMA has been a part of that movement since the beginning, up until a few years ago a “postmodern running shoe” wouldn’t have fallen under the distinction of being typical hip-hop style. But East sees it differently. 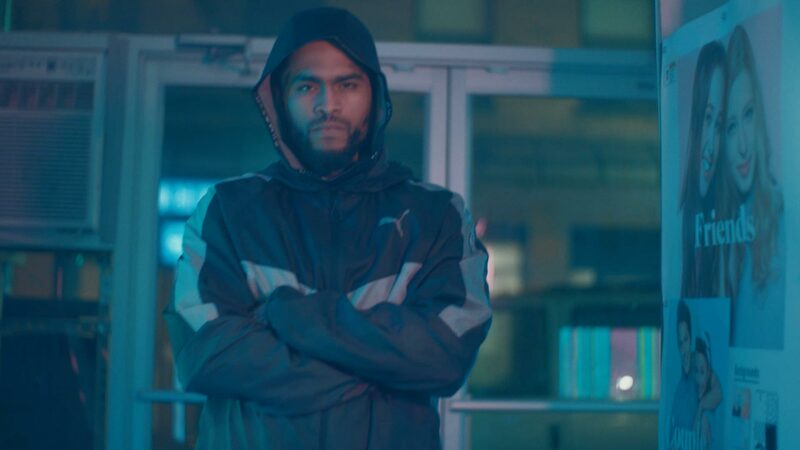 PUMA knew it was pushing the boundaries when it created the Tsugi, but Dave East thinks it will connect. “The sole [on the Tsugi] for sure is classic. You’ve got a classic sole. But the design and the way it fits: That’s brand-new,” he says. The Tsugi Shinsei wraps a stunning amount of ideas, cultural forces, and aesthetic experiments into a single silhouette. It’s a dizzying accomplishment, but the heart of the shoe is in its name. The name literally means “next” and “rebirth,” a remarkable statement for a brand founded nearly 70 years ago. PUMA has seen incredible growth lately, injecting a different vision and fresh creativity into its process and line, but for it to put a stake in the ground and claim that this one shoe or this one moment is the point from which the rest will grow shows not only confidence but a healthy dose of grit. The Tsugi is bold in its design, with a little bit of audaciousness in its conception. If the Tsugi truly is the beginning of the next incarnation of PUMA, and we should expect to see more shoes like it, we’re about to witness a brand that’s reimagined its identity to become something of a maverick. The industry is ready for it, and so are we.